I haven’t done a Five Minute Friday post in a while but this prompt seemed to scream my name. Just as a reminder, Five Minute Friday posts are from a weekly prompt that bloggers from all over use and then link up their posts. The idea is to write on the topic for five minutes without stopping, without editing. I sorta follow those rules. You can read other posts on Open here. I’ve struggled the entire day of whether or not to write on this topic. To be honest, it comes from a place of hurt. I’m feeling misunderstood, undervalued, and in general just picked on and disrespected in life. I keep having the feeling that I should retreat. Retreat from social media, retreat from my blog and retreat from contact with others. After all, when I’m open I get hurt, right? So it seems a little odd that I would be admitting all of this in a blog. You know, putting words on the Internet for all to see. I’ve found that writing helps me process and when I learn something, I want to share it with others. What I’m learning today is not really a learning. It’s more of a gentle slap upside the head to remind me of truth I already know. These hurts I’m feeling…the misunderstood, the undervalued and the overall feeling of people seeming to think I’m not competent…are all big buttons for me. It’s a way that Satan knows he can attack me and damage my very soul. And that’s true for any of the three feelings individually. But to have a growing sense of all three and to wake up feeling almost like I’m choking from all three? That’s clearly an attack from the enemy. So instead of closing down, I’m opening up. 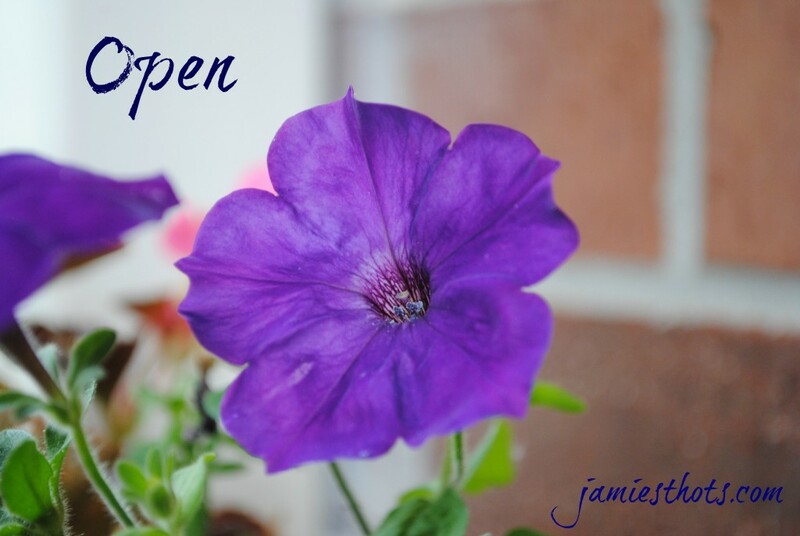 Opening up to what I believe God is trying to do in my life. What God is trying to tell me about how much he understands me. How much he values me. How much he knows that I’m a pretty competent cookie. Because whatever God has planned must be pretty dang big to bring on this much anguish from the enemy. Instead of feeling despondent like I did even a few hours ago, I’m now in wonderment about what will happen next. Thank you for reminding us that bad is not really bad – but simply a gentle nudge to remind us that God has a plan and he has our back. Thanks for your honesty and being “open”. He has a plan and may He comfort you through this time. Came from FMF. Thank you for sharing. Sending prayers your way!